The Grand Duchy of Luxembourg is one of the tiniest countries in Europe, surrounded by France, Belgium and Germany. It is a country best known for its strong financial and banking sector, and the presence of the main European Union institutions such as the European Investment Bank and the European Commission. But when it comes to business and entrepreneurship, we would not think Luxembourg has anything to do with them. Believe it or not, the high number of well-educated international people combined with the stable economic climate make Luxembourg an ideal startup destination. Over the past few years, many efforts have been made to support fast-growing start-ups and talented entrepreneurs with dedicated workspaces, incubators and accelerators, and administrative and financial support. 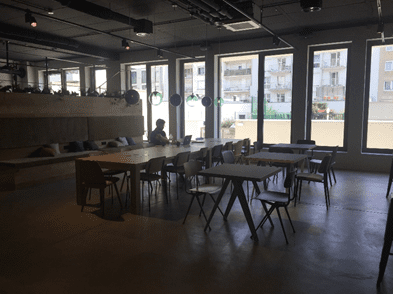 So, it was time for us to have a look at the few coworking spaces in Luxembourg. You can expect to meet vibrant communities of start-ups and entrepreneurs in these coworking spaces in Luxembourg. Converted from a garage, Luxembourg’s first coworking space opened its doors in October 2016. 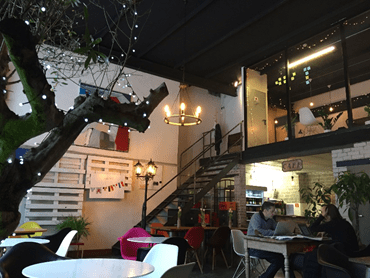 The cozy space is now a coworking home for about 150 people. 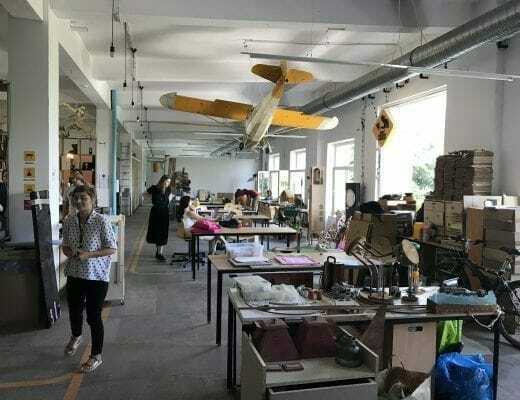 There are 14 private offices, an open floorplan section with 46 desks, a zen room for chilling out, and a café (The Café) which is also open to the public. The Office is ideal for mature companies but also for those who just started their businesses and want to “feel the vibe.” Co-founder Gosia Kramer explains, “I wanted the space to be a true-feel-good-space: you are professionally at home here.” Her focus is on cultivating a strong sense of community where everyone can feel at home and part of something bigger than just themselves. You can find a diverse community of internationals who always find time for a quick chat over a coffee or after work on a Friday evening. Gosia’s (and my) favourite area is definitely The Café as “having a coffee house in the coworking gives a heart to the place”. Urban Office is an ideal choice for commuters as it offers coworking spaces on Luxembourg’s border with France (Bettembourg), Belgium (Windhof and Esch-Belval) and Germany (Grevenmacher). 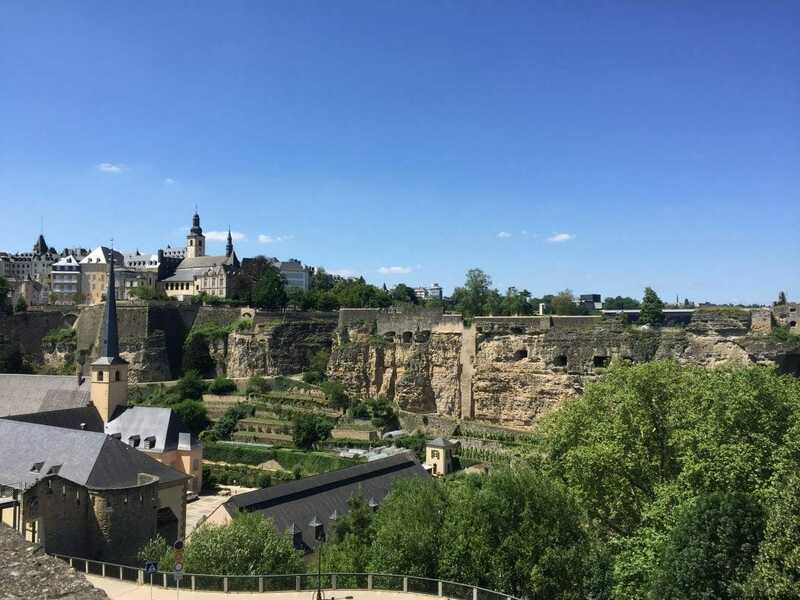 Recognising the increasing need for a city centre location for meetings and virtual company address, Urban Office just recently opened a new office in Luxembourg City. Monthly full-time flex memberships can be purchased at the price of 277 euros, allowing its owner to use any of the five coworking centres and meeting rooms. In total, there are 80 companies in the Urban Office network. The community is diverse – there are entrepreneurs, startups, freelancers and even corporate employees. As co-founder Phil Sonnhalter explains, “more and more big company started to relocate their employees into Urban Office locations in order to save time spent on travelling between home and the workplace.” There are no dedicated office/community managers in any of the locations but the community is quite active and organises events regularly. 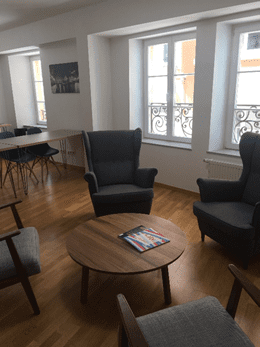 Silversquare is the newest comer of coworking spaces in Luxembourg, and is the first coworking space opened by a Belgian coworking space provider outside Belgium. Silversquare is a cosy but professional environment where people can feel at home. It offers a mix of open (100 desks in total) and private offices (42) on 5 floors. On the ground floor, you can find the community kitchen and the open area where people can exchange ideas and interact, while the upper floors are designed for silence and focused work. There are meeting rooms of various sizes, phone booths, and a theatre-style area for workshops and events. As country leader Claudine Bettendroffer explains, Silversquare is unique in the Luxembourgish coworking scene in a way that it offers “all services of a business centre and the dynamics of an open environment” for its community of diverse members. Luxembourg is definitely seeing a wave of various collaborative workspaces to meet the ever-growing demand. Thanks to the various forms of government-related incentives, more and more people find Luxembourg as an ideal place to set up a business. While until a couple of years ago there were no such spaces, today the collaborative workspace industry is going from strength to strength with the arrival of great new players in the market, continually enriching the ecosystem of coworking spaces in Luxembourg. 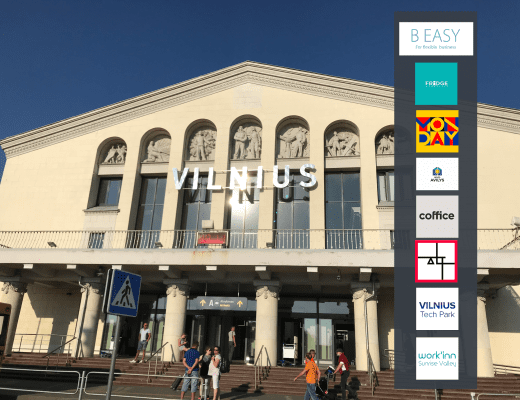 You may also check our other city guides like Tallinn, Vilnius, or Bratislava, or check our blog for more.